Wildlife on this site and the nearby Underbarn is prolific. The whole area is well known to and frequented by bird watchers. Sometimes we have come across large groups of birdwatchers, when a rare bird is blown in on the wind. Portland Harbour provides refuge for a number of interesting birds especially divers and red-breasted mergansers, which can be viewed from Old Castle Road and Castle Cove Beach. The numbers of wheatear and stonechat, passage migrants, in early spring and autumn are most impressive. 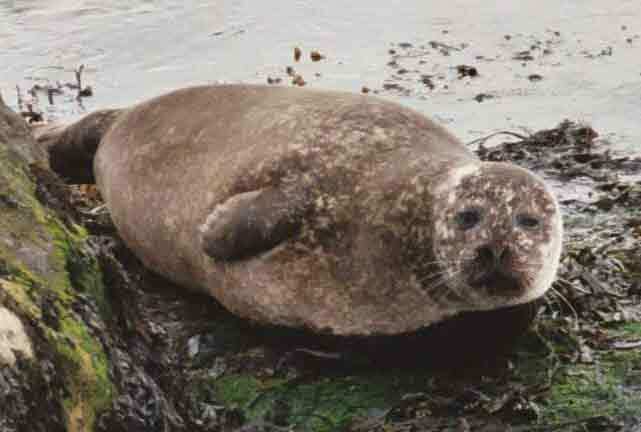 This seal lived along the beach during November and December 2004. Will it come back if houses are built here? 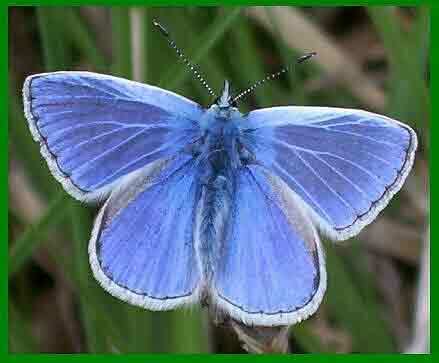 A total of 47 butterfly species regularly breed in Dorset and many can be seen along the Underbarn and on this site. Several species are scarce or threatened nationally and may well survive here. Specialities such as the stunning Adonis blue, silver-studded blue, Lulworth skipper and the beautiful marsh fritillary are real Dorset treasures. You may be lucky and find them as you go along the way. Animals which live or pass through the site include deer, badgers, bats, the prolific fox, and many similar small mammals. No one has actually seen otters or dormice recently but it would be nice to think that the habitat is still here for them if they return. The Dorset County Council Record Centre keep a record of the rare and protected species which have been observed on or near to this site.